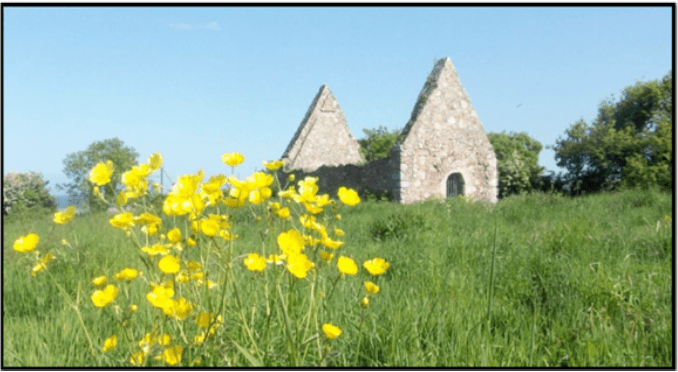 This walk takes you from The Grove area on the Northern end of Greystones, through Delgany ending up at the Dart Station. It can be an add-on to the Bray to Greystones Cliff Walk. This is an ancient site of Rathdown Caste was built c1200 soon after the Normans arrived. At this time Rathdown castle was occupied by the leader of the Irish Tribes of the area, Donall MacGilla Mocholmog. To the south of the Castle there were remains of the older Rath of considerable dimensions. The name Rathdown is an alteration of the name Rath Oinn, though pronounced vocally the same. Canon Price in his book “The Stones of Bray describes it as have been “one of the finest Baronies in Ireland”. He suggests the Rath was undoubtedly one of the Royal residences of the first Milesian (Gaelic) king in Ireland. It would appear that the Rath was an important residence right up to the Norman Occupation. An early two storey L shaped farm house building built c1710, with outbuildings to the East. In 1778 the home of Charles Tarrant who was a respected antiquarian and supervised the building of the Grand Canal. His neighbour at Rathdown was Redmond Morres, a director of the Grand Canal Company. Col Tarrant was one of Dublin’s Wide Streets Commissioners and advised on the Lough Lough Allen to Jamestown section of the Shannon Navigation. This church is a simple chapel measuring 8.23m by 5.49m. The earliest reference to St Crispin’s is in 1530, though it may be earlier. It is believed that this is one of two churches in the surrounding area. It is named after St Crispin the patron saint of shoe makers. It is rumoured that there was a graveyard surrounding the church of which the bones were dug up in the late 18th or early 19th century and placed to the east of the church. Redford cemetery was opened in 1882. The noted people buried here consist of Samuel Beckett’s parents (of which Samuel Beckett writes about visiting), Richard C. Paulet, 17th Marquis of Winchester, Maj.-Gen. William E.R. Dimond, RAMC, Averil K.S. Deverell, first woman barrister to practice in Ireland. A detached two storey house built c1850. 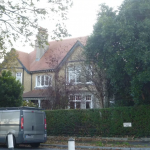 In 1903 it is recorded as a six bed roomed property with three reception rooms. The house was occupied by John Caulfield in the late 19th century, he was a district inspector of the Royal Irish Constabulary. A later occupant was Jack Butler Yeats, the noted Irish artist and brother of Noble laureate William Butler Yeats, who visited his brother in Greystones. Jack settled at Cartrif after returning from England in 1910. To the right is Templecarrig is an 18th century two storey, five bay country house. In the mid to late 18th century the home of Colonel Rawson. 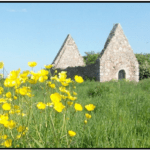 Templecarrig gets its name from the Gaelic word Teampull Carraige meaning Church of the Rock. Later the home of Maurice Bagenal St Leger Keatinge Esq, a Landowner, soldier and politician, who was married to 8th Earl of Meaths daughter, Lady Martha. In 1800 he translated Bernal Diaz del Castillo’s La historia verdadera de la conquista de la Nueva España into English as The True History of the Conquest of Mexico. Later the home of the Hudson family, of which George Hudson of Templecarrig was the Sherriff of County Wicklow and member of the Bray Relief committee for Bray during the famine years. Later the home of the 14th Earl of Meath, who was the Aide de Camp to the Governor of Bengal. An elegant church of which work commenced in 1866 and which was opened in August 1867. The architect was most likely to have been the Bray Architect and builder Edmund O’Kelly, who also designed the Turkish Baths. The foundation stone was laid on the 14th of October 1866 by the Very Rev Monsignor Walter Lee P. P. of Bray. 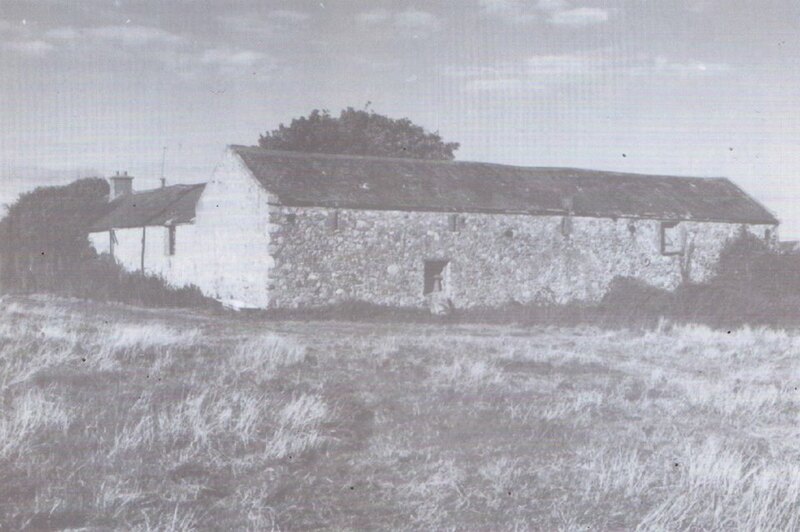 Originally a five bay chapel later extended. A statue of St Killian was gifted to the church and is by eminent Bavarian artist Herr Arnold Fussengagn. 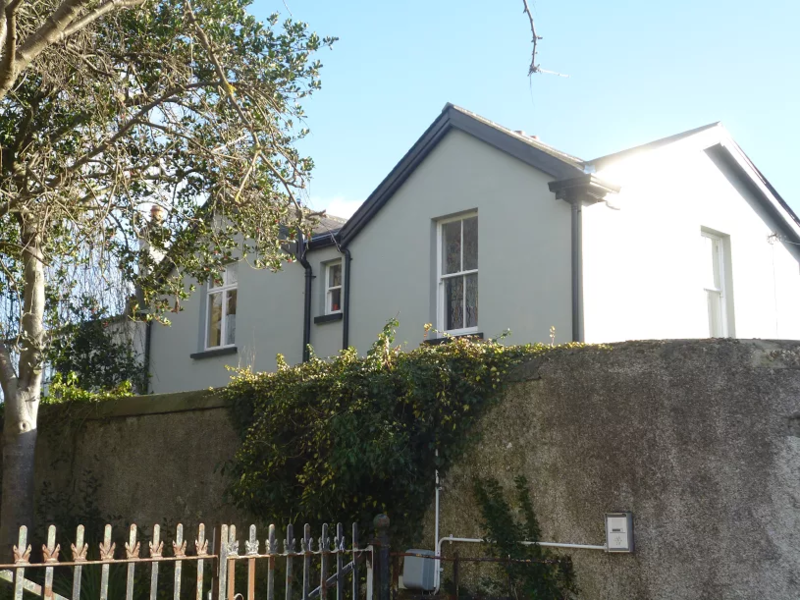 This cottage is a charming cottage in the Arts and Crafts style, probably one of the best of its type in Greystones. This was the home of Norah Hoult a notednovelist and short storey writer. Norah died at Jonquail in 1984. Her works include There were no windows and Father and daughter. 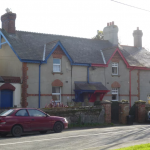 Glencarrig was originally named Kindlestown House, later the name was changed to Glencarrig. It is a large two storey detached gentleman’s house built in the 18th century. 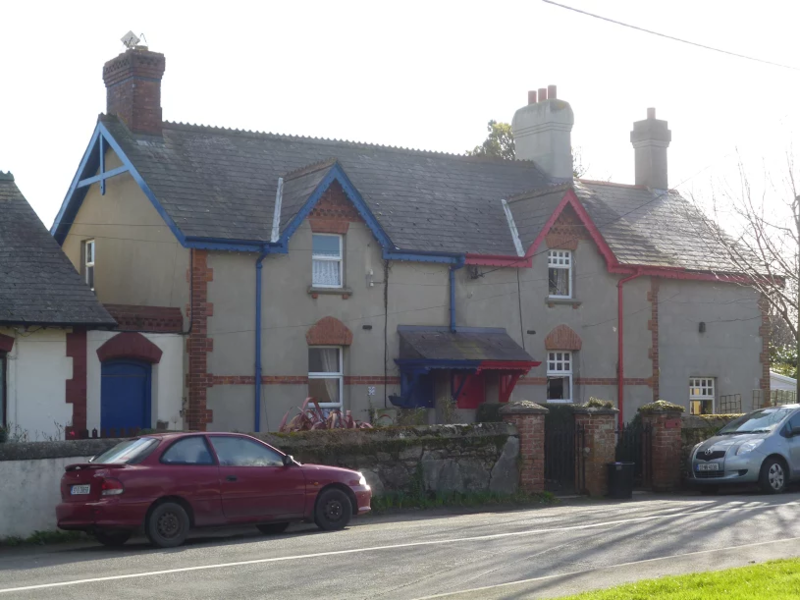 In the mid 19th century the home of Patrick Reid, who was honoree secretary of the life boat in Greystones. A later occupant was Cyril James Irwin C.I.E., C.S.I.. He was the son of Colonel Richard Irwin of Rathmoyle, County Roscommon. Cyril was Commissioner for the central Provence in India. Goodebrook House is a medium sized two storey, three bay country house built in the late 18th century. The original name was Goodebrooke, which gets its name from the Goode family of Delgany and Finglas House. In the late 19th century the home of Mrs Fanny Helen Adams Reilly also of Belmont Co Tipperary. Her son was the noted Alpinist Anthony Myles William Adams Reilly, who also resided at Goodbrook. Dromont is a large house that was built c1860. 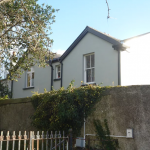 This house was rented by the Synge family for summer periods. Mrs Synge and her children stayed here, her son was John Millington Synge, the playwright. The Synge family had a long connection with the Greystones area, staying in Greystones for many summers. J M Synge mentions Greystones frequently as two of his aunts and many cousins lived in the area. A large 18th century detached gentleman’s house. In the mid to late 19th century the home Thomas Frederick Yeo, Registrar of the Queen’s Bench, Dublin. Later the home of John O’Neill, a bicycle manufacturer and later Senator in the Irish Parliment and the first Chief Scout in Ireland. A medival castle that was occupied by the archbold family in the 15th and 16th centuries, later becoming the property of the Earl of Meath whose family still lives at Kilruddery in Bray. Though a ruin it a grand example of a type of castle known as a Hall house. 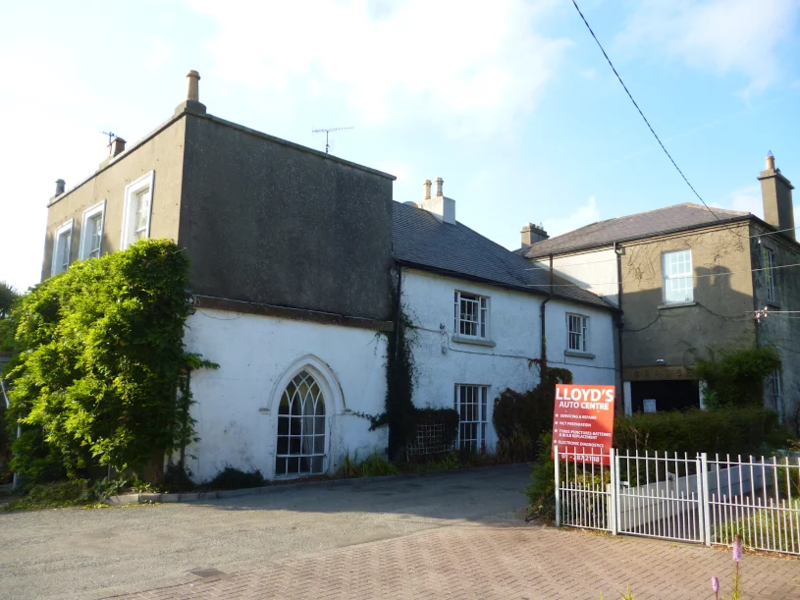 A large two storey detached gentleman’s house with central tower built c1850, it was originally the home of William Basil Orpin, a barrister at law and his wife Harriet nee Bastable and then the home of Dr Norman Thompson, who married the daughter of William Basil Orpin. A 20 ft snake was found on the lands around Kindlestown House in 1901 and killed. Dr Thompson’s daughter Florinda married the author, explorer and plant collector Frank Kingdon Ward. Later the home of Dr James Ryan and his wife Mairin. Dr James was Minister for Agriculture in the 1930’s and later Minister Health and Social Welware. He also fought in the 1916 rebellion. His wife Mairin Cregan was a noted writer and wrote Old John in 1936 and other works. The Carmelite monastery came to Delgany in 1844, it belonged to the Order of Discalced Carmelites, which was by St Theresa of Avila. They came to Delgany on the invitation of the Very Rev Fr M Fagan of Kilquade. They purchased an existing Country house of which they extended. The church which attaches the old house was built in 1853. The church is a beautiful building in it’s own right, with the added advantage of having a Harry Clarke, stained glass widow. Harry Clarke was probably Ireland most celebrated Stain Glass artists. Malvern was at one time dower house for the La Touche family of Bellevue. It would appear to be late 18th century. It would appear to get its name from when it became a well known Hydropathic Establishment established in 1861, which involved being wrapped in a wet sheet for a week and being plunged into an icy cold bath and a scalding hot bath. This establishment was founded by W Alfred Johnson, the son of Dr Edward Johnson of Great Malvern. W Alfred was the author of Bedside letters on Hydropathy. This charming church with a three stage tower was built in 1789 by Peter La Touche, the wealthy Dublin Banker, whose country house was Bellevue House, outside Delgany. It was designed by the noted architect Whitmore Davis from County Antrim. Inside is the La Touche Monument by the noted Irish sculptor John Hickey erected in 1793 and restored in 1895 by Messrs Harrison and son of Great Brunswick Street. Killincarrig Mill is a late 18th century four storey, six bay building, with Mill House and originally with mill race. In 1837 A. Jones was the owner of the mill, which was recorded as an extensive flour mill. 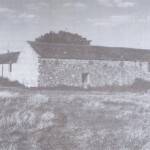 Later known as Courtney’s Mill after a later occupier. 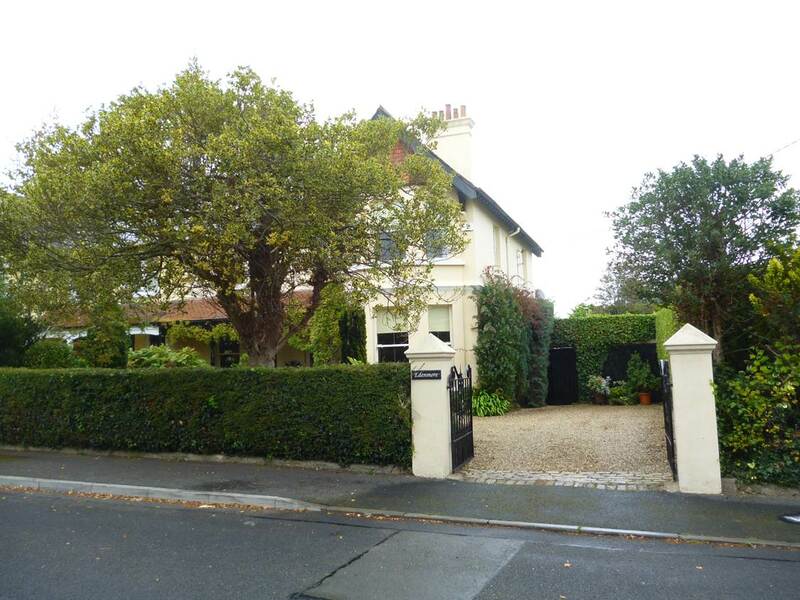 This semi detached two storey, three bay house was built c1900. Originally known named Howbury when Samuel Bradshaw, a solicitor was living at Edenmore. It was next occupied by Eamon De Valera, during the period of the Civil War in Ireland, during the early 1920’s. De Valera renamed the house Craigliath. A detatched house, originally lived in by the Hon. Cecil Thomas Atkinson, who was a Judge at the high court of Bihar and Orissa in India. Later the home of Dr Gerald Beckett , the uncle of the playwright Samuel Beckett. It was the childhood home of the musician and composer John Stewart Beckett. 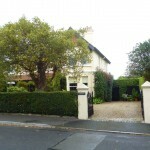 A detached house built c1900. The original occupier was Rebekah Fayle widow of Benjamin Fayle of Clonmel in Tipperary. Banjamin owned a house named Merlin in Clonmel, thus the name of this house. Later lived in by the noted Dublin Barrister Edward Martin Fitzgerald. His daughter who was born in Greystones was the Hollywood actress Geraldine Fitzgerald. Geraldine’s films included Wuthering Heights and Arthur. A large detached two storey gentleman’s house named after Dunboy Castle in County Cork, the stronghold of the O’Sullivan Bere family. Originally the home of Denis Baylor Sullivan, he was the brother of TD and AM Sullivan. A M Sullivan was the owner of The Nation. Denis was co editor of Speaches from the Docks. Denis was a barrister involved in the Pheonix Park Murder Trail in Dublin. 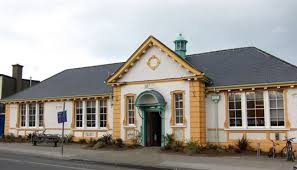 Greystones Library is a Carnegie funded library. The land for the library was donated by Mrs Le Blond, nee Hawkins Whitshed, a local landlord of Killincarrig House and noted photographer and alpine mountaineer. It was built in 1910 and opened in 1912 by Lord Justice Cherry. The architects were Doolin, Butler & Donnelly of Dawson Street, Dublin. Originally named the Greystones and Delgany Station. It was opened in the Autumn of 1856 at a cost of £3000. 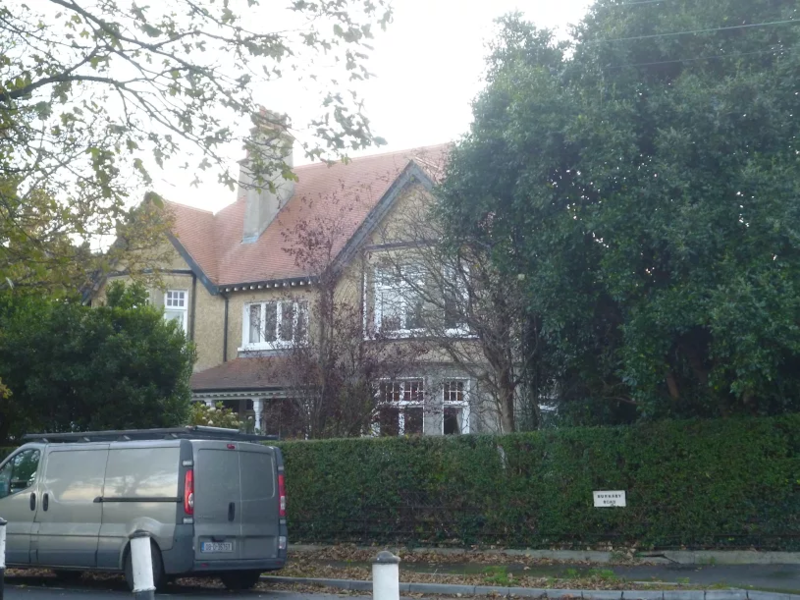 It was built between the boundaries of the La Touche and Hawkins Whitshed Estates, the two main land owners in the surrounding area of Greystones. The architect was George Wilkinson, who also designed the Dalkey, Harcourt Street Wicklow Railway Stations. The contractor was Crowe and Sons. Eamon de Valera was arrested at Greystones Station as he stepped off his train onto the station platform.